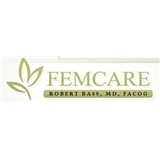 FEMCARE OB/GYN (Plantation) - Book Appointment Online! Welcome to FEMCARE OB/GYN Today’s women are more informed and involved in their healthcare decisions than ever before. When it comes to your OB/GYN, you deserve a highly credentialed and experienced physician, someone who is willing to take the time to address your concerns with current information and a compassionate approach. You need an office staff that is responsive and efficient. Whether you are pregnant or in need of gynecologic services, that is precisely the experience we strive for in the office of Robert J. Bass, M.D. in Plantation, Florida. Dr. Bass, a board certified obstetrician and gynecologist, has been practicing medicine in South Florida since 1992. At FEMCARE OB/GYN, we provide advanced medical technology in a friendly environment where you will feel welcome and unrushed. Another great experience with this doctor and his entire staff. Thank you!